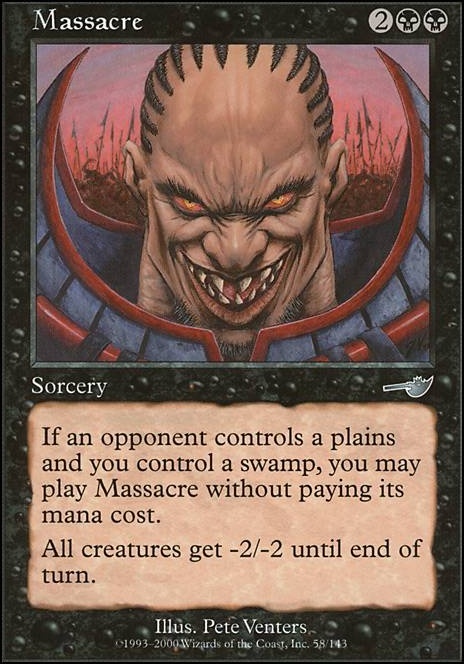 If an opponent controls a Plains and you control a Swamp, you may play Massacre without paying its mana cost. Bazzul can you convert your Demonlord Belzenlok deck to tappedout? Is there any reason not to run all the man-lands (so you can block 1/1s) as well as utility cards such as Massacre and Shriekmaw (which are in your Maybeboard) as well as Contagion , Nemesis Trap , Outbreak , Ravenous Trap , Price of Fame , Damnation , Bane of the Living , Haunted Cadaver , or Boompile ? KillTheIslandUser: Sorry for the delayed response. I am unsure about Kozilek's Return as a mini wrath compared to Zealous Persecution . Yes, it Kills Najeela but it also wipes my board. Persecution doesn't kill Najeela but it completely resets her while leaving me untouched. Not to mention it's cheaper to cast as well. I think I would prefer to run Toxic Deluge over Massacre as well. Sure you cant cast it for free but it is way more flexible. Timetwister is just being run as a wheel. I like the fact that it's graveyard recursion at the same time. But if there's something better, I am open to other options. If you want to deal with Najeela, you should consider some other options. for removing najeela entirely? and her tokens? As well as tymna? Fragmentize - Gotta try this, maybe replace abolish with it. Cabal Therapy - Even harder to hit than toughtseize, but the flashback cost is pretty neat. Ethersworn Canonist and Eidolon of Rhetoric - I avoided stax that do not double as combo, but Eidolon it's almost an auto-included if going that route. Will look for a slot. Linvala, Keeper of Silence - Ain't this kinda of a Silver Bullet? 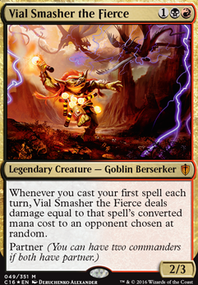 But gotta say, it shuts Grenzo, Arcum, Thrasios, Jace and now Vannifar. Sadistic Hypnotist - For a sac outlet, he's way too costly, and only as a Sorc. Ad Nauseam - I happened to grasp one in another game and it did pretty well. Gotta make room for it. Ashnod's Altar - Blasting Station and Altar of Dementia both fills this role, and double as wincon. Ashnod's ramp rarely helped me out in the old list. Leonin Squire - It can be usefull, but with so many sugestions, he's down on my priority list for now. Lotus Petal - Maybe it can help us with Razaketh Lines. Weathered Wayfarer - Worth the try. Glad you found the suggestions helpful. My manabase is about the same as yours and supports Baleful Strix well. Some easy and cheap upgrades would be River of Tears , Foreboding Ruins , Choked Estuary , and Path of Ancestry . Also, if you're looking at other sac outlets, consider Greater Gargadon , Attrition , Mind Slash , and Thermopod . If I wanted a value sacrifice engine, Mind Slash would be my first inclusion, and it's been in and out of my build. I definitely understand your thought process behind certain omissions in favor of things that better suit your build. I'd just like to give a bit more reasoning behind a few of my favorites. Sower of Temptation vs Zealous Conscripts is a debate that could go either way, and I've personally run Conscripts without Sower before so I get where you're coming from. Consider instead Sower as a replacement for Ravenous Chupacabra. The floor is roughly the same. Sometimes you don't have a sac outlet and the owner of the creature you steal kills Sower, but I think that's niche downside compared to the upside of Sower on 4 into Marchesa on 5, attack with Sower and stolen creature, recur them both. I think you can run Conscripts and Sower and cut Chupacabra. Trinket Mage usually finds Sol Ring but can also find Skullclamp to pull you out of a pinch, and Imperial Recruiter on 3 can find Trinket Mage to get you an artifact land to hit the fourth land drop the next turn. I used to run it with just Sol Ring and Skullclamp but Heap Doll and Sparring Construct are stronger than they appear and a value creature that finds more value creatures has an exponential sort of effect. I slept on the Construct as well, until I tried it. The baseline is pretty close to equivalent with Siren Stormtamer - you play Marchesa, they play removal, you sac the Construct then sac the Marchesa with the counter on it. It doesn't get to do Graft loops but it does take a counter on the Marchesa turn and then pass that counter to the next creature you drop, letting you recur its ETB and protect it a turn earlier than usual. 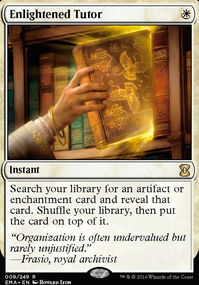 So basically it's doing what Lightning Mauler , etc, would do, but more reliably, and for only 1 mana (which is key when you're drawing a million off Graft loops/Rhystic/Necropotence/Remora). Grenzo, Dungeon Warden : you have 34 creatures with power 3 or less, so the 1/3rd chance is perhaps less than optimal, but 6 mana flash a random creature in from your deck is not bad when it's attached to a creature that will come with counters. This one, like Construct and my next suggestion, is a lot better in actual games than on paper. Bringing things in at flash speed makes Grenzo a more resilient sort of army-assembler for situations where you're struggling to get a foothold on the board. It may be that just drawing a bunch of cards is better, and I wouldn't fault you for not trying out Grenzo, but if you do, he just might surprise you. 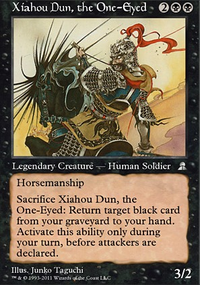 Demon of Dark Schemes - if the Massacre effect isn't strong in your games then I would understand avoiding this inclusion, but being strong on just the initial cast, then singlehandedly building a board of value creatures to recur, including Reclamation Sage effects to take care of things like Wheel of Sun and Moon, makes this guy practically a second commander. We're great at draining opponents' resources so this is more likely to stick and then untap with a ton of activations, and it's the perfect "last card" sort of finisher to turn things drastically in your favor. It does a lot of things and is almost always relevant which is why I prefer it to simpler haymakers like Living Death etc. Spellseeker only has 4 targets in your deck currently but just finding Cyclonic Rift already makes it an enchantment removal creature. I understand you don't want to go too deep into tutors so I could see leaving this one out, same as Trinket Mage, but their restrictions make them more balanced and crafting the packages around them has made my experience with Marchesa more fun. Anyway the list and primer looks solid and I'm glad you could get some use out of my suggestions. Hey, commenting on here with a list of things you might want to try out. These aren't meant to all be directly added, more of just things to keep an eye on as you test and stuff. You might want to try to make room for Leonin Squire, because it's really good with LED and Razaketh combo, and Mox Diamond because it's just a powerful card . A few things you could change up could be to go into a more storm-y or Doomsday sort of deck. With the land base, rather than running Cabal Stronghold, try out the original Cabal Coffers, and better yet, going down some of the dodgy cards in the deck such as Darkness, Pyramid and Lotus Bloom. Some reasonable lands that I think you'd benefit form under this style of deck would be Lake of the Dead, The Tabernacle at Pendrell Vale to slow down the opponent being an aggressive creature-based deck, and even one or two Urborg, Tomb of Yawgmoths. You should probably run some alternate removal, because legacy is a format filled with stuff like Arcbound Ravager, Lodestone Golem. 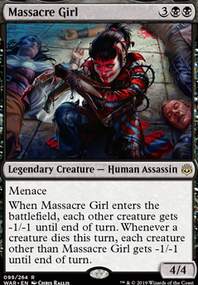 What you'd be better off running would be stuff more along the lines of Dismember, Slaughter Pact and/or Hero's Downfall (which also removes those pesky planeswalkers). Even some Damnations, Massacres or Toxic Deluge. These sweepers will hit most things, and probably won't be cast before you get any real threats out. 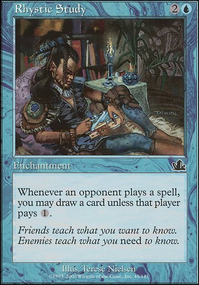 With the rest of the deck, it's pretty cool, but Cruel Tutor is so shady, being a 3-mana Imperial Seal. You're much better off running 3 copies of Dank Petition over it. Additionally, you might find it useful to run Ula, the new or old, as the opponent could play something like Bridge which would almost definitely stop you from bashing your opponent. Ulamog, the Infinite Gyre destroys any permanent ON CAST, so it can get rid of that super annoying Liliana, or Bridge, maybe if they have a Thalia out. Ulamog also has Annihilator 4, which additionally removes permanents from play. Ula exiles two permanents on cast, so if they've doubled up on Bridges, you can remove both. I would also suggest thinking about adding another colour, Red or Blue. Red offers cards such as Sneak Attack, giving you quick Emerias, while blue offers additional things to ramp into, namely Omniscience, letting you cast your big things for free if you want to. @AquaticAce26, yeah, Luminarch Ascension is a fine win con - it definitely has synergy with the deck and the plan. The win cons in the deck can be a little fragile - like if you have Rest in Peace and someone destroys your Helm of Obedience, you have to shift to the other win. So in that sense, a third one-card win con is ok. On the other hand, having a very few dead cards for combo slots or wincons is one of the strengths of the deck. You could drop the voltron cards (Empyrial Armor and Cartouche of Ambition) and add Luminarch Ascension and maybe Replenish, if you want to stay at 2 wincons. Or you can just add it and go up to 3. I'd probably try another board wipe against those decks instead of Illness in the Ranks. Massacre or Yahenni's Expertise. They're both vulnerable from their creature mana. I'd probably want to play another GY hoser, maybe leyline or Planar Void, which should help against blood pod and tasigur. Yeah.